By popular suggestion this text was cross-posted to Medium. Suppose you are starting a new data science project (which could either be a short analysis of one dataset, or a complex multi-year collaboration). How should your organize your workflow? Where do you put your data and code? What tools do you use and why? In general, what should you think about before diving head first into your data? In the software engineering industry such questions have some commonly known answers. Although every software company might have its unique traits and quirks, the core processes in most of them are based on the same established principles, practices and tools. These principles are described in textbooks and taught in universities. Data science is a less mature industry, and things are different. Although you can find a variety of template projects, articles, blogposts, discussions, or specialized platforms (open-source [1,2,3,4,5,6,7,8,9,10], commercial [11,12,13,14,15,16,17] and in-house [18,19,20]) to help you organize various parts of your workflow, there is no textbook yet to provide universally accepted answers. Every data scientist eventually develops their personal preferences, mostly learned from experience and mistakes. I am no exception. Over time I have developed my understanding of what is a typical "data science project", how it should be structured, what tools to use, and what should be taken into account. I would like to share my vision in this post. Colored boxes denote the key processes while icons are the respective inputs and outputs. Depending on the project, the focus may be on one process or another. Some of them may be rather complex while others trivial or missing. For example, scientific data analysis projects would often lack the "Deployment" and "Monitoring" components. Let us now consider each step one by one. Your source data is provided as a set of *.csv files. You follow the cookiecutter-data-science approach, make a data/raw subdirectory in your project's root folder, and put all the files there. You create the docs/data.rst file, where you describe the meaning of your source data. (Note: Cookiecutter-DataScience template actually recommends references/ as the place for data dictionaries, while I pesonally prefer docs. Not that it matters much). Your source data is provided as a set of *.csv files. You set up an SQL server, create a schema named raw and import all your CSV files as separate tables. You create the docs/data.rst file, where you describe the meaning of your source data as well as the location and access procedures for the SQL server. Your source data is a messy collection of genome sequence files, patient records, Excel files and Word documents, which may later grow in unpredicted ways. In addition, you know that you will need to query several external websites to receive extra information. You create an SQL database server in the cloud and import most of the tables from Excel files there. You create the data/raw directory in your project, put all the huge genome sequence files into the dna subdirectory. Some of the Excel files were too dirty to be imported into a database table, so you store them in data/raw/unprocessed directory along with the Word files. You create an Amazon S3 bucket and push your whole data/raw directory there using DVC. You create a Python package for querying the external websites. 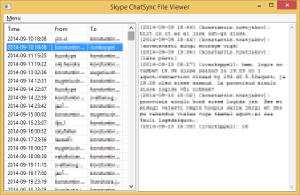 You create the docs/data.rst file, where you specify the location of the SQL server, the S3 bucket, the external websites, describe how to use DVC to download the data from S3 and the Python package to query the websites. You also describe, to the best of your understanding, the meaning and contents of all the Excel and Word files as well as the procedures to be taken when new data is added. Your source data consists of constantly updated website logs. You set up the ELK stack and configure the website to stream all the new logs there. You create docs/data.rst, where you describe the contents of the log records as well as the information needed to access and configure the ELK stack. Your source data consists of 100'000 colored images of size 128x128. You put all the images together into a single tensor of size 100'000 x 128 x 128 x 3 and save it in an HDF5 file images.h5. You create a Quilt data package and push it to your private Quilt repository. You create the docs/data.rst file, where you describe that in order to use the data it must first be pulled into the workspace via quilt install mypkg/images and then imported in code via from quilt.data.mypkg import images. Your source data is a simulated dataset. You implement the dataset generation as a Python class and document its use in a README.txt file. If you work in a team, make sure the data is easy to share. Use an NFS partition, an S3 bucket, a Git-LFS repository, a Quilt package, etc. Make sure your source data is always read-only and you have a backup copy. Take your time to document the meaning of all of your data as well as its location and access procedures. In general, take this step very seriously. Any mistake you make here, be it an invalid source file, a misunderstood feature name, or a misconfigured server may waste you a lot of time and effort down the road. You follow the cookiecutter-data-science route and use Makefiles to describe the computation graph. Each step is implemented in a script, which takes some data file as input and produces a new data file as output, which you store in the data/interim or data/processed subdirectories of your project. You enjoy easy parallel computation via make -j <njobs>. You rely on DVC rather than Makefiles to describe and execute the computation graph. The overall procedure is largely similar to the solution above, but you get some extra convenience features, such as easy sharing of the resulting files. You use Luigi, Airflow or any other dedicated workflow management system instead of Makefiles to describe and execute the computation graph. Among other things this would typically let you observe the progress of your computations on a fancy web-based dashboard, integrate with a computing cluster's job queue, or provide some other tool-specific benefits. This technique has been implemented in one in-house data science workbench tool of my design (not publicly available so far, unfortunately) and provides a very streamlined workflow. 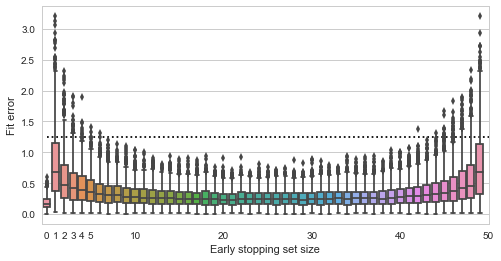 Always organize the processing in the form of a computation graph and keep reproducibility in mind. This is the place where you have to think about the compute infrastructure you may need. Do you plan to run long computations? Do you need to parallelize or rent a cluster? Would you benefit from a job queue with a management UI for tracking task execution? If you plan to deploy the models into production later on, make sure your system will support this use case out of the box. For example, if you are developing a model to be included in a Java Android app, yet you prefer to do your data science in Python, one possibility for avoiding a lot of hassle down the road would be to express all of your data processing in a specially designed DSL rather than free-from Python. This DSL may then be translated into Java or an intermediate format like PMML. Consider storing some metadata about your designed features or interim computations. 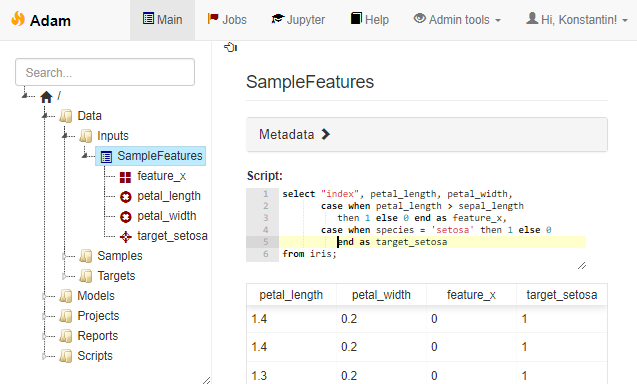 This does not have to be complicated - you can save each feature column to a separate file, for example, or use Python function annotations to annotate each feature-generating function with a list of its outputs. If your project is long and involves several people designing features, having such a registry may end up quite useful. Once you have done cleaning your data, selecting appropriate samples and engineering useful features, you enter the realm of modeling. In some projects all of the modeling boils down to a single m.fit(X,y) command or a click of a button. In others it may involve weeks of iterations and experiments. 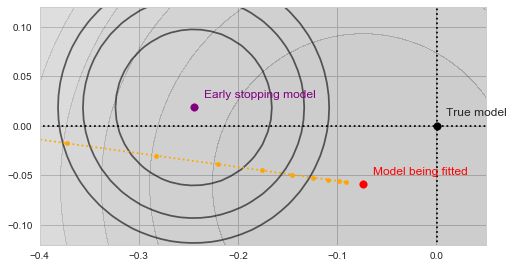 Often you would start with modeling way back in the "feature engineering" stage, when you decide that outputs of one model make for great features themselves, so the actual boundary between this step and the previous one is vague. Both steps should be reproducible and must make part of your computation graph. Both revolve around computing, sometimes involving job queues or clusters. None the less, it still makes sense to consider the modeling step separately, because it tends to have a special need: experiment management. As before, let me explain what I mean by example. You are training models for classifying Irises in the iris.csv dataset. You need to try out ten or so standard sklearn models, applying each with a number of different parameter values and testing different subsets of your handcrafted features. You do not have a proper computation graph or computing infrastructure set up - you just work in a single Jupyter notebook. You make sure, however, that the results of all training runs are saved in separate pickle files, which you can later analyze to select the best model. 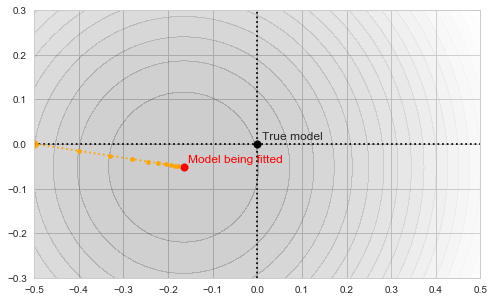 You are designing a neural-network-based model for image classification. 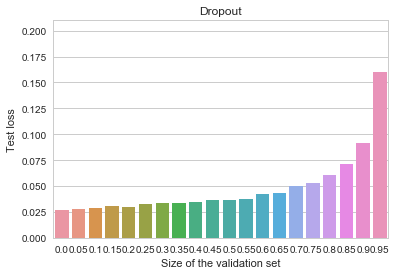 You use ModelDB (or an alternative experiment management tool, such as TensorBoard, Sacred, FGLab, Hyperdash, FloydHub, Comet.ML, DatMo, MLFlow, ...) to record the learning curves and the results of all the experiments in order to choose the best one later on. You implement your whole pipeline using Makefiles (or DVC, or a workflow engine). Model training is just one of the steps in the computation graph, which outputs a model-<id>.pkl file, appends the model final AUC score to a CSV file and creates a model-<id>.html report, with a bunch of useful model performance charts for later evaluation. 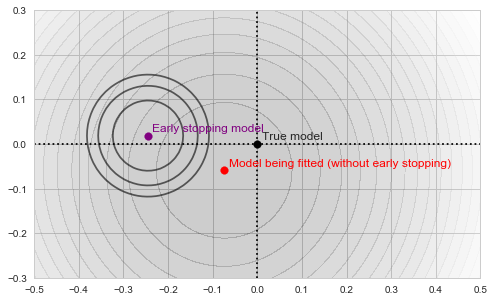 The takeaway message: decide on how you plan to manage fitting multiple models with different hyperparameters and then selecting the best result. You do not have to rely on complex tools - sometimes even a manually updated Excel sheet works well, when used consistently. If you plan lengthy neural network trainings, however, do consider using a web-based dashboard. All the cool kids do it. Your modeling pipeline spits out a pickle file with the trained model. All of your data access and feature engineering code was implemented as a set of Python functions. You need to deploy your model into a Python application. You create a Python package which includes the necessary function and the model pickle file as a file resource inside. You remember to test your code. The deployment procedure is a simple package installation followed by a run of integration tests. Your pipeline spits out a pickle file with the trained model. To deploy the model you create a REST service using Flask, package it as a docker container and serve via your company's Kubernetes cloud. Alternatively, you upload the saved model to an S3 bucket and serve it via Amazon Lambda. You make sure your deployment is tested. Your training pipeline produces a TensorFlow model. You use Tensorflow Serving (or any of the alternatives) to serve it as a REST service. You do not forget to create tests and run them every time you update the model. Your pipeline produces a PMML file. Your Java application can read it using the JPMML library. 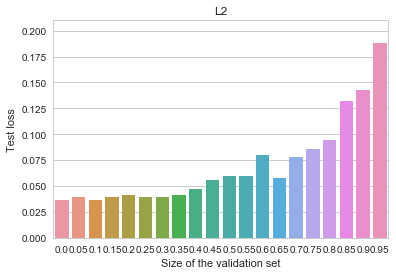 You make sure that your PMML exporter includes model validation tests in the PMML file. Your pipeline saves the model and the description of the preprocessing steps in a custom JSON format. To deploy it into your C# application you have developed a dedicated component which knows how to load and execute these JSON-encoded models. You make sure you have 100% test coverage of your model export code in Python, the model import code in C# and predictions of each new model you deploy. Your pipeline compiles the model into an SQL query using SKompiler. You hard-code this query into your application. You remember about testing. You train your models via a paid service, which also offers a way to publish them as REST (e.g. Azure ML Studio, YHat ScienceOps). You pay a lot of money, but you still test the deployment. There are many ways how a model can be deployed. Make sure you understand your circumstances and plan ahead. Will you need to deploy the model into a codebase written in a different language than the one you use to train it? If you decide to serve it via REST, what load does the service expect, should it be capable of predicting in batches? If you plan to buy a service, estimate how much it will cost you. If you decide to use PMML, make sure it can support your expected preprocessing logic and that fancy Random Forest implementation you plan to use. If you used third party data sources during training, think whether you will need to integrate with them in production and how will you encode this access information in the model exported from your pipeline. As soon as you deploy your model to production, it turns from an artefact of data science to actual code, and should therefore be subject to all the requirements of application code. This means testing. Ideally, your deployment pipeline should produce both the model package for deployment as well as everything needed to test this model (e.g. 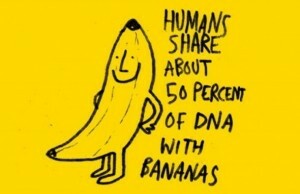 sample data). It is not uncommon for the model to stop working correctly after being transferred from its birthplace to a production environment. It may be be a bug in the export code, a mismatch in the version of pickle, a wrong input conversion in the REST call. Unless you explicitly test the predictions of the deployed model for correctness, you risk running an invalid model without even knowing it. Everything would look fine, as it will keep predicting some values, just the wrong ones. For every request to your model you save the inputs and the model's outputs to logstash or a database table (making sure you stay GDPR-compliant somehow). You set up Metabase (or Tableau, MyDBR, Grafana, etc) and create reports which visualize the performance and calibration metrics of your model. Throughout the life of the data science project you will constantly have to sidestep from the main modeling pipeline in order to explore the data, try out various hypotheses, produce charts or reports. These tasks differ from the main pipeline in two important aspects. Firstly, most of them do not have to be reproducible. That is, you do not absolutely need to include them in the computation graph as you would with your data preprocessing and model fitting logic. You should always try to stick to reproducibility, of course - it is great when you have all the code to regenerate a given report from raw data, but there would still be many cases where this hassle is unnecessary. Sometimes making some plots manually in Jupyter and pasting them into a Powerpoint presentation serves the purpose just fine, no need to overengineer. Note that you are free to organize the internals of each subproject as you deem necessary. In particular, it may even be a "data science project" in itself, with its own raw/processed data subfolders, its own Makefile-based computation graph, as well as own subprojects (which I would tend to name tasks in this case). In any case, always document each subproject (have a README file at the very least). Sometimes it helps to also have a root projects/README.txt file, which briefly lists the meaning of each subproject directory. Eventually you may discover that the project list becomes too long, and decide to reorganize the projects directory. You compress some of them and move to an archive folder. You regroup some related projects and move them to the tasks subdirectory of some parent project. Exploration tasks come in two flavors. Some tasks are truly one-shot analyses, which can be solved using a Jupyter notebook that will never be executed again. Others aim to produce reusable code (not to be confused with reproducible outputs). I find it important to establish some conventions for how the reusable code should be kept. For example, the convention may be to have a file named script.py in the subproject's root which outputs an argparse-based help message when executed. Or you may decide to require providing a run function, configured as a Celery task, so it can easily be submitted to the job queue. Or it could be something else - anything is fine, as long as it is consistent. File storage. Your project must have a home. Often this home must be shared by the team. Is it a folder on a network drive? Is it a working folder of a Git repository? How do you organize its contents? Data services. How do you store and access your data? "Data" here includes your source data, intermediate results, access to third-party datasets, metadata, models and reports - essentially everything which is read by or written by a computer. Yes, keeping a bunch of HDF5 files is also an example of a "data service". Versioning. Code, data, models, reports and documentation - everything should be kept under some form of version control. Git for code? Quilt for data? DVC for models? Dropbox for reports? Wiki for documentation? Once we're at it, do not forget to set up regular back ups for everything. Metadata and documentation. How do you document your project or subprojects? Do you maintain any machine-readable metadata about your features, scripts, datasets or models? Interactive computing. Interactive computing is how most of the hard work is done in data science. Do you use JupyterLab, RStudio, ROOT, Octave or Matlab? Do you set up a cluster for interactive parallel computing (e.g. ipyparallel or dask)? Job queue & scheduler. How do you run your code? Do you use a job processing queue? Do you have the capability (or the need) to schedule regular maintenance tasks? Computation graph. How do you describe the computation graph and establish reproducibility? Makefiles? DVC? Airflow? Experiment manager. How do you collect, view and analyze model training progress and results? ModelDB? Hyperdash? FloydHub? Monitoring dashboard. How do you collect and track the performance of the model in production? Metabase? Tableau? PowerBI? Grafana? To conclude and summarize the exposition, here is a small spreadsheet, listing the tools mentioned in this post (as well as some extra ones I added or will add later on), categorizing them according to which stages of the data science workflow (in the terms defined in this post) they aim to support. Disclaimer - I did try out most, but not all of them. In particular, my understanding of the capabilities of the non-free solutions in the list is so far only based on their online demos or descriptions on the site. In this lecture the concept of a desk is used as a visual metaphor of "structuring the information" as well as to provide an outline to the talk. Here and here an imaginary geographical map is used in a similar context. For the computer graphics course I had to develop some "slides" as small OpenGL apps for visualizing the concepts during the lecture. This has been later taken to extreme heights in the practical materials designed by Raimond-Hendrik, who went on to give this course (alongside with a seminar) in the following years. Unfortunately the materials are closed for non-participants (yet I still hope they will be opened some day, do you read this, Raimond? ), but the point is that every single notion has a tiny WebGL applet made to illustrate it interactively. Once I tried to make a short talk about computer graphics, where the slides would be positioned on the walls of a 3D maze, so that to show them I'd have to "walk through the maze", like in a tiny first-person shooter game. Although this kind of visualization was not at all useful as a learning aid (as it did not structure anything at all), it none the less looked cool and was very well appreciated by the younger audience of the talk, to whom it was aimed at. Check it out. If you are into programming-related procrastination, try saving the "mazes" generated by the tool on your computer and editing the A-frame code to, say, add monsters or other fun educational tools into the maze. 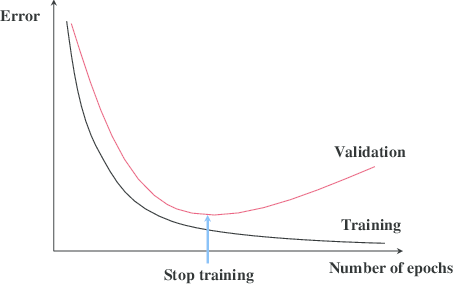 The developments of proper GPU-based implementations of neural network training methods in the recent years have lead to a steady growth of exciting practical examples of their potential. Among others, the topic of face recognition (not to be confused with face detection) is on the steady rise. Some 5 years ago or so, decent face recognition tools were limited to Google Picasa and Facebook, some research labs and a few commercial products, often branded with the word "Biometrics" (that somehow seems to grow out of fashion nowadays). Today things are different. Given a decently large labeled dataset, some knowledge of machine learning, familiarity with the GPU-based "deep learning" tools, and sufficient perseverence, one can design a reasonably impressive face recognizer system in a matter of several weeks or months at most. Consequently, now is the time when we can see recognition-based startups receive millions in funding. Just some months ago Microsoft came out with their own public face detection and recognition API (which got its fair share of publicity in the form of a funny age-guessing tool). Hence, the growth in popularity and use of face recognition is apparent. Given that the initially overinflated hype around the whole deep learning buzzword seems to have more-or-less settled down to reality, this time the growth is realistic. 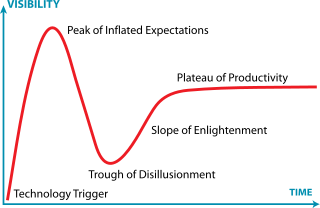 We are probably on the "enlightenment" segment of the hype cycle here, very close to reaching actual productivity (which is not without issues, though). Tambet and Ardi of our institute's neuroscience research group seemed to have caught the noospheric trend and are working on a neural-network based face recognizer with the initial aim of using it to sort and organize historical photos from the Estonian National Archives. During a Skype University Hackathon, which happened in April I had the chance to join forces with them to present their efforts in the form of a fun public web app. 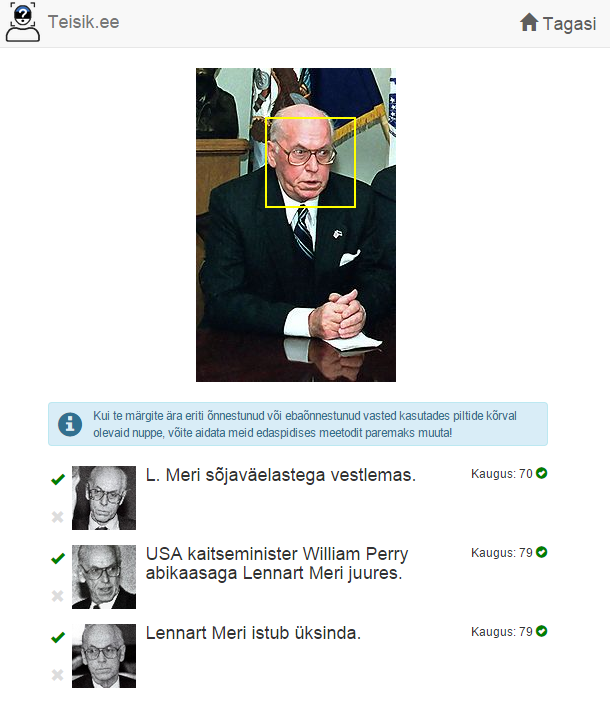 The idea was to let people search for similar faces in the Estonian archive photos. The resulting site was called "teisik.ee" ("doppelganger" in Estonian). Although it does not seem to exactly fulfil the "doppelganger finding" purpose, it does manage to identify persons known to the system from the database surprisingly well. Having observed that finding matches to celebrities, even if they are not perfect matches, is entertaining in its own way, we also managed to put up a second version of the service (all within that same weekend! ), codenamed celebritymatch.me. This app lets you search the dataset of celebrity faces for those which are apparently similar (according to the opinion of our neural network, at least). Try it, it is not perfect, but rather fun. The implementation of the recognition system is rather straightforward for anyone who knows what a convolutional network is and otherwise pretty impossible to grasp in full, hence I won't go into much technical detail. It is implemented using Caffe and consists of three consequtive convolutional layers (with ReLU and max-pooling), followed by a fully-connected hidden layer, which is then fully-connected to a softmax classification output layer. The outputs of the penultimate layer (of size 64) are used as the feature representation of the face. 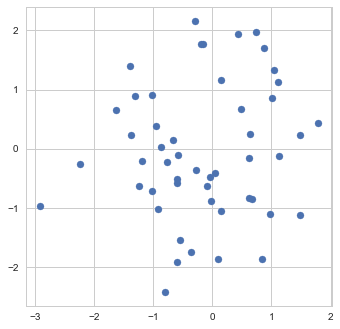 Those feature representations are then used to find Euclidean-distance-wise nearest neighbors in the database of faces. The future plans are to later apply the probably smarter FaceNet approach to network training for the same use case. The webapp is done using Flask. Right after the hackathon Tambet was invited to give an interview about the project on Estonian television. If you understand Estonian, check it out, it is very good. Over the recent years I happen to have made several small personal projects using Python's Flask web framework. The framework is designed to provide a very minimalistic "bottom-up" approach. It feels slightly less cluttered and imposing than some of the popular alternatives, thus fitting nicely for the projects a single person might typically want to hack up in a spare weekend. Minimalism of Flask does not mean it is somehow limited or unsuitable for larger projects - perhaps on the contrary, small size of the framework means there are fewer restrictions on what and how you can do with it. What a small framework needs to be applied comfortably beyond its 6-line "Hello-World" use case, however, is a decent starter project template that would include some of the most common bells and whistles. And indeed, there happen to be several such templates available. I used parts of them over time in my own projects, however I always ended redoing/rewriting/renaming bits and pieces to fit my personal aesthetic needs. Eventually I got tired of renaming and packaged a Flask application template in the way I consistently prefer to use it. I am not sure whether it is objectively better or worse than the alternatives. None the less, if at some point you decide to give Flask a try, let me suggest you try this template of mine as your point of origin. I haven't updated this blog for quite some time, which is a shame. Before I resume I wanted to reproduce here a couple of my old posts from other places. This particular piece stems from a post on our research group's webpage from more than 8 years ago, but is about an issue that never stops popping up in practice. 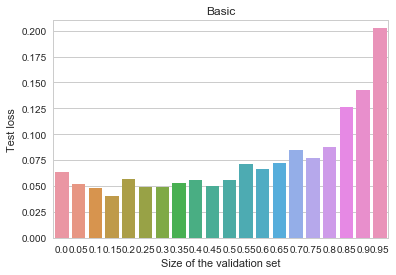 Precision of floating point numbers is a very subtle issue. It creeps up so rarely that many people (me included) would get it out of their heads completely before stumbling upon it in some unexpected place again. Indeed, most of the time it is not a problem at all, that floating point computations are not ideally precise, and no one cares about the small additive noise that it produces, as long as you remember to avoid exact comparisons between floats. Sometimes, however, the noise can severely spoil your day by violating the core assumptions, such as "distance is always greater than zero", or "cosine of an angle never exceeds 1". Please, beware of float comparisons. In particular, think twice next time you use the sign() function. Most of bioinformatics revolves, in one way or another, around the genome. Even in the largely "non-genomic" areas, such as systems biology, proteomics, or metabolomics, the key players are still genes, proteins, and their regulatory regions, which can be associated with particular points on the genome. Consequently, no matter what kind of data you work with, if you do bioinformatics, you will sooner or later have to deal with genomic coordinates. 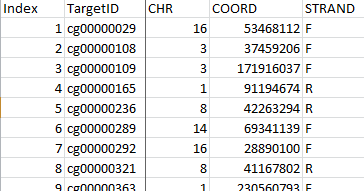 To interpret genomic coordinates you need to know the reference genome version and coordinate conventions used. Does the data file mention those? Surprisingly, despite being of such central importance to bioinformatics, the whole genomic coordinate business seems to be in a rather unfriendly state nowadays. Firstly, there are several ways to refer to genomic positions (e.g. 0-based vs 1-based indexing), and for every possible combination of conventions, there is at least one file format that will be using it. Then, of course, you have to deal with several versions of the reference genome, and, to make your life harder yet, most data files will not tell you what genome version should be used to interpret the coordinates stored there. Finally, if you decide that you need to unify the coordinates among your different data files by converting them to the same reference genome version, you will find out that your only tools here are a couple of heavyweight web apps and a command-line UCSC liftOver utility. Should you look for R or Python libraries to script your task, you will discover that those do no smarter than forward all the conversion tasks to that same liftOver. For more information consult the PyPI page.